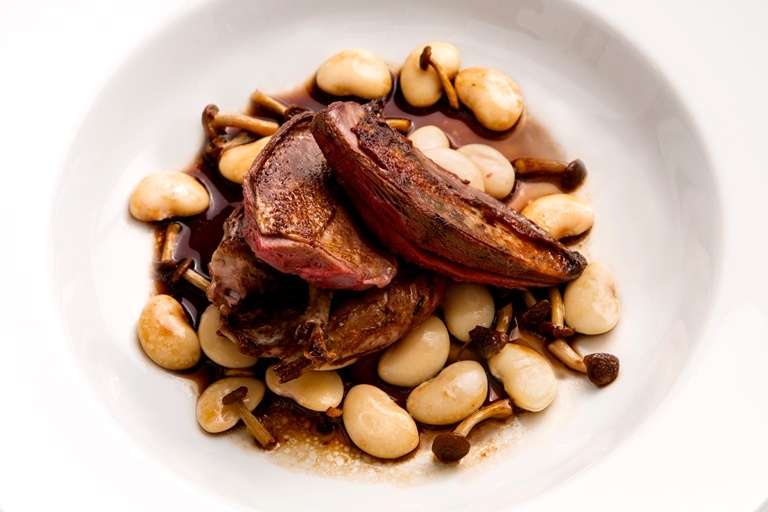 Used as a bed for squab in this roast pigeon recipe, the butter beans will need to be soaked overnight. When in season, this dish from Bryan Webb looks great garnished with some skinned broad beans, or accompanied with some wild rice. Roast pigeon is a wonderful alternative to standard Sunday roasts. Learn more about how to roast a whole pigeon in our guide. Showcasing quality ingredients from his native Wales, Bryan Webb cooks French-inflected dishes that champion simplicity and gutsy flavour.